It all started in 2015 with a project of the young British company of Vivarail, founded by specialists from the rail sector. Vivarail bought early-retired D78 trains to use as the base for a new-build modular train, making them suitable for a regular track on lines without catenary. After all, refurbishing existing rolling stock takes ways less time than building entirely new trains. And refurbishing existing rolling stock is better in terms of circularity than building new rolling stock. 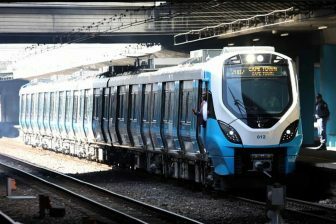 The 165 metro cars could be converted into a maximum of 75 trains. The aim is to sell or lease them for operation on non-electrified lines. Approximately 30% of the lines in the United Kingdom has not been electrified, which is a lot more than in the Netherlands. 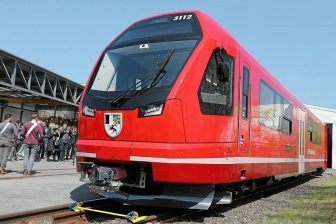 Strukton won the contract to deliver the traction systems and auxiliary systems, converting the power to the right voltage for the engines, batteries and train-bound installations like air conditioning and lighting. The collaboration was continued after the successful refurbishment of the first D78 cars to diesel trains by Vivarail using Strukton’s power electronics. In that phase, Vivarail’s focus was on the development of rolling stock with different options for power supply, including hybrid trains (a combination of diesel and batteries or catenary and batteries) and fully battery-powered trains. Strukton Rolling Stock delivered the traction and auxiliary systems for this next phase as well. Vivarail has by now built and sold eight trains and successfully completed the admission procedure. Three diesel trains have been sold to Northwestern Railway in London for use on the Marston Vale line and will soon start their first runs. Operator Keolis Amey will operate five hybrid trains (diesel/battery) in the Wales and Borders concession area. It is a milestone for Strukton as well that these trains will start running. “We are expecting a flywheel effect”, says Janse. 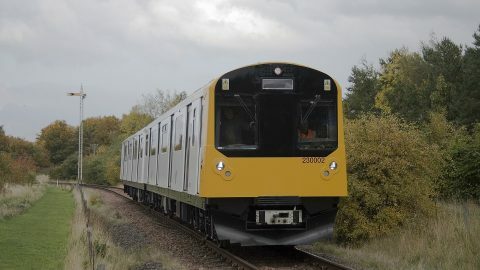 Vivarail has also built and launched the UK’s first modern battery train with an impressive range of 60 miles between charges. “We believe that the battery train is the future. The change from a diesel train to a battery train reduces a huge amount of CO2. The battery trains have a range of 60 miles between the charges, which makes them fit for a lot of train connections. Our patented fast-charge system allows us to meet the service requirements of operators”, says Alice Gillman, head of Marketing at Vivarail. Gillman says that there is a lot of interest in Vivarail’s refurbished trains, both in the UK and in the US. The trains have not been admitted for the European tracks yet, but Vivarail is actively exploring the possibilities to solve that problem. Now that the technology has been developed, Vivarail is considering to not only refurbish existing rolling stock but also build the entirely new battery-powered trains using the same design as the refurbished metro cars of London Underground. 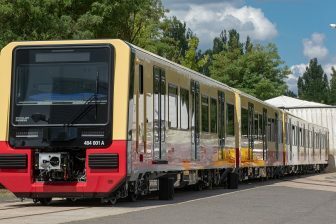 The cooperation between Strukton and Vivarail is not expected to end, since both parties are in the concluding stage of negotiations about a new major order: the production of the power electronics of all remaining metro cars. “We don’t know the configuration yet, but that does not make a difference to us since we have developed a universal solution”, explains Janse. He expects that Strukton will be occupied with the production of 20 to 25 systems per year till 2024. The engineering of the electronics, contained in cabinets underneath the trains, is done in Strukton’s Alblasserdam branch. The production is done in the workshop in Enschede. As to the Dutch market, Strukton is interested in the plans in the north of the country. The provinces of Friesland and Groningen are planning to start pilots with battery trains in 2019 or 2020. Arriva is the concession holder in the north of the Netherlands on the Leeuwarden-Groningen line and will be the concession holder in the provinces of Friesland and Groningen from 2020 till 2035. The operator expects that battery powered trains will be able to run in this concession area in about three years. Arriva has ordered eighteen new hybrid WINK trains from Stadler. The train manufacturer will modernise and refurbish 51 existing GTW trains to enable them to run on battery power.